CareCredit is healthcare credit care that is a great option for patients to pay for their out-of-pocket costs. The card can be used not only at our office, but at other offices accepting CareCredit. There are nearly 200,000 across the nation! 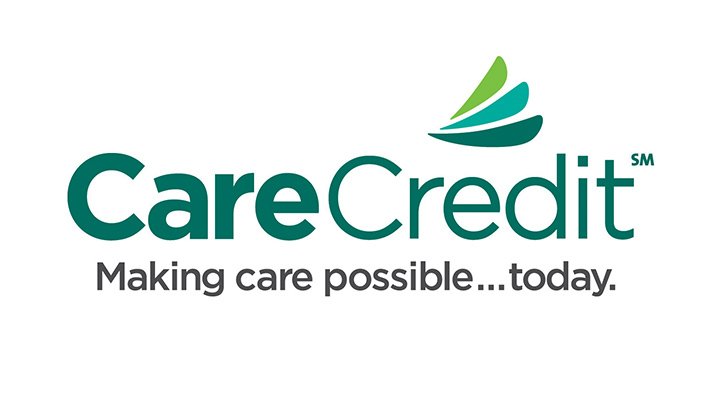 Preventative, restorative, cosmetic, and more treatments can be paid for with CareCredit! It is a great option for those without insurance and for those who have maxed out their insurance coverage for the year. Use CareCredit with your dental insurance to pay for any costs that are not covered. You can find more information about CareCredit and what it has to offer by calling our office or visiting their website.